Elevation is played on a 12'x12' square field. 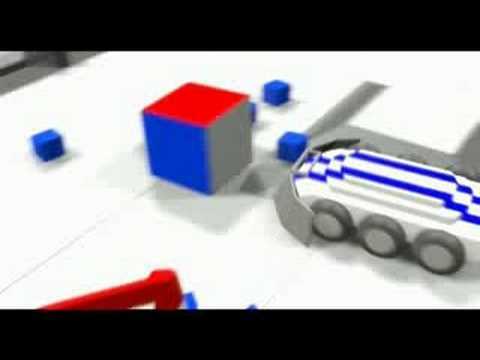 Two alliances - one "red" and one "blue" - composed of two teams each, compete in each match which consists of a twenty-second autonomous period followed by two minutes of driver-controlled play. The object of the game is to attain a higher score than your opponent alliance by placing cubes into goals, and by "owning" goals by having the highest cube in a given goal. Points can also be earned by "parking" on the platform or by "controlling" the bonus cube. A bonus is awarded to the alliance that has the most total points at the end of the Autonomous Period. Team 1114 had developed a strong reputation for success over its first three seasons. Simbotics introduced five separate VEX teams this year with the introduction of a new program. After two successful events with two gold medals two Simbotics’ teams qualified for the World Championship in Dallas, Texas. Both teams had great turnouts at the World Championships; with Team 1114A becoming the Driver Skills Champion and winning the most prestigious award, the Excellence Award. Even though the overall competition was not won, it was still considered a successful VEX season for the team.